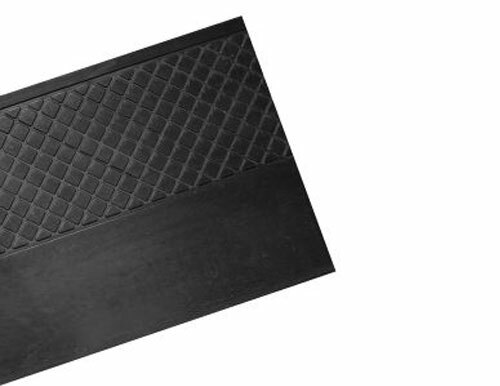 These Black Solid Heavy Duty Stair Treads are the perfect anti-slip solution with a classic look. Equipped with a diamond pattern measuring 6” deep, these stair treads are made with top quality compound for a long-lasting safety solution. Perfect for steps where fire safety is a prime concern, our easy to clean anti-slip flooring products are economical and durable. Protect your employees and customers while reducing your liability risk with these heavy duty rubber stair treads from Sure-Foot Industries, a leader in safety and anti-slip flooring. To learn more about preventing unnecessary slipping and falling risks. Contact us or request a product sample today!